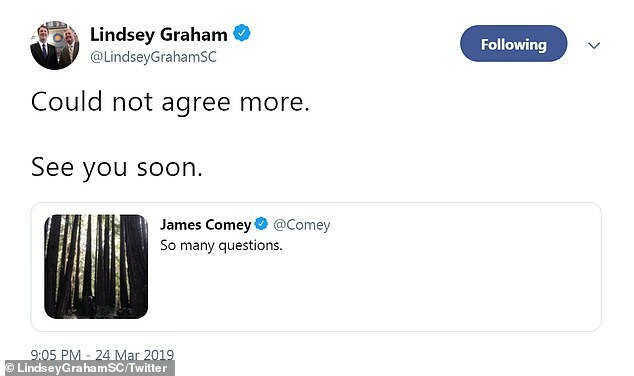 Fired FBI Director James Comey fired off a cryptic tweet Sunday evening after Bill Barr confirmed that Mueller found zero evidence that Trump’s camp conspired with Russia during the 2016 election. 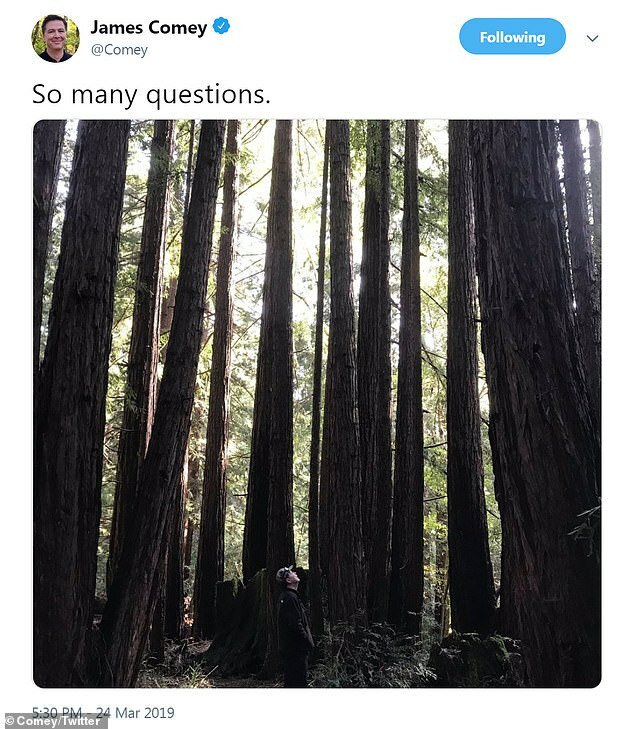 “So many questions,” Comey said in a tweet with a photo of himself in the woods. Comey set the ball in motion after he was fired as FBI Director on May 9th 2017. Comey gave portions of his Trump memos to a friend to leak to the New York Times to prompt a special counsel investigation into President Trump. Mueller’s team interviewed 500 witnesses and issued 2800 subpoenas in an investigation that spanned over 675 days with a total of 19 high-powered lawyers. The Deep State attempted to remove President Trump and failed. Make no mistake, the Democrats are not finished harassing President Trump. House Judiciary Chairman Nadler made it clear that he is not done investigating Trump and will be calling AG Barr to testify to his Committee.